Boarding Services - BROWN ANIMAL HOSPITAL, P.C. Our new clinic offers a large, clean boarding facility. 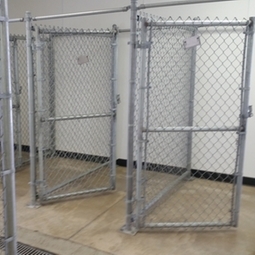 We provide large runs for larger pets or to accomodate your furry friends together when appropriate. We also have smaller runs for clients with "daintier" needs. In addition our cat boarding area is kept separate from our dog boarding to provide an added sense of security to our feline clients.